Cats may suffer asthma attacks just as humans. A cat with asthma is not a great sight, the cat will cough and wheeze with its neck extended as it tries to breath more air. If you are looking for home remedies for cat asthma, consider that the triggers of asthma attacks in cats can be various, the most common being dust and pollen. Cat asthma is a serious condition, that requires medication and veterinary care; however, owners may do various things at home to help their feline friends breath better. 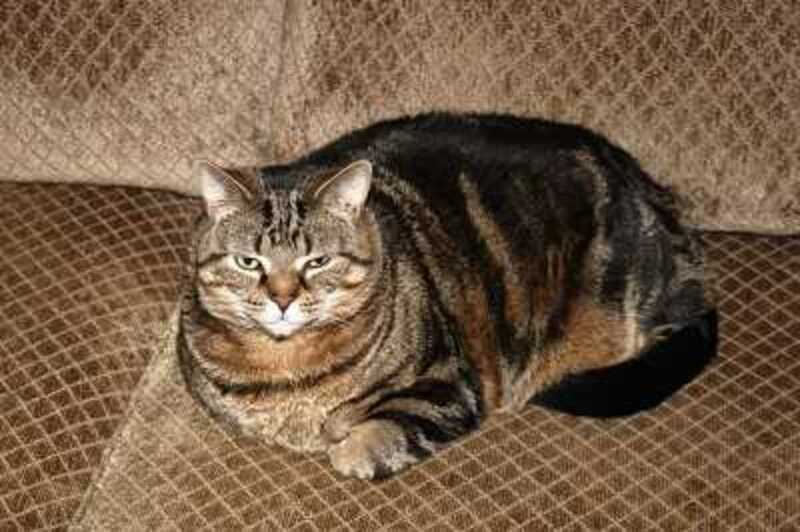 If your cat has asthma and has excessive pounds, this extra weight may make the asthma much worse. Shedding those extra pounds will grant your cat a healthier life style, consult with your vet for guidance on starting your asthmatic cat on a new diet. In the meanwhile, reduce the amount of treats and people food. Did you ever wonder if your cat may be sensitive to the various chemicals you have in your home? Wonder no more! That hair spray, perfume, deodorants, carpet cleaner or cigarette smoke may indeed be triggering your cat’s asthma attacks. Try cleaning your home with natural products and do not smoke in the house. Your cat will thank you! The dry, air typical of summer and winter season may cause your cat to develop difficulty breathing because it tends to irritate your cat’s airways. Use a non-medicated humidifier and aim for humidity levels between 30-40%. Does your kitty cough and sneeze right after using its restroom? Some cat litters are very dusty, and as the cat digs, clouds of dust may be raised irritating the cat’s airways. There are many new litters nowadays that are claimed to be dust free, they are surely worth a try. Unscented litter is also preferable, as some cats may be allergic to special scents added to litter to make its smell more pleasant. If it is pollen season and your cat seems to sneeze, cough and wheeze when outdoors, protect your cat by bringing him/her indoors until the season is over. Refrain as well, from keeping the windows open. Stress may cause an asthma attack in cats prone to asthma. Common triggers of stress in cats is furniture moved around, exposure to loud noises, strangers in the home etc. Try to keep your cat in a quiet dark room if this can limit the amount of exposure to stress triggers. *Disclaimer: Asthma attacks in cats are medical emergencies that require prompt treatment. If your cat has trouble breathing, consult with your veterinarian for proper assessment and treatment.